Need some knowledgeable advice, please. I am looking for the best / most reliable GPS system on the market for my tow vehicle / travel trailer combo. I would like one that works for RV towing mode, plus for regular use when I'm NOT towing. I understand that some of them have to be hooked up to or synced with a smartphone. I don't own a smartphone, so that function would be useless to me. 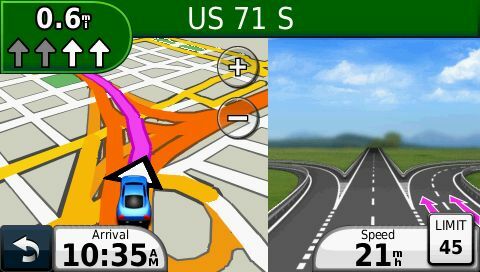 Just looking for a great GPS System that can be used in "regular" mode or for RV towing mode. Thanks so much. Heading out West in September, and looking to buy some device to help navigate places I've never been to before. Appreciate any and all replies. Happy Camping. We used to use the Good Sam GPS from Camping World (don't remember who really made it...Magellan, maybe?) but after it got stolen, we replaced it with a Garmin 770. Have used the Garmin for over two years, and really love it. Easy to use, and has the "towing / not towing" option that you want. Can input all of the info about your rig (height, overall length, etc.) to keep you from going where you won't fit. Highly recommend the Garmin 770, from a company that is a leader in the field. I have Garmin units for all of our cars. Been using them for 15 years or so. I love them. They do not require a smart phone or anything else. Most of the current models come with lifetime map updates so you can download new updated maps for free from Garmin via the internet. A lot of their models have what they call "lane assist" or "junction view" which shows you a simulation of the exit lanes before you get to a highway intersection. That can be very helpful in a strange city the way intersections are all scrambled up sometimes. Especially where multiple interstates meet or diverge. Some samples are below. Another thing I like about the Garmin units is you can change the display to a flat map view like what you see in Google Maps. It reads like a paper map. You can set North up or Track up (I go with Track up on mine). I like the flat map look better than the view like you are flying in a drone behind and above the car (which is the standard view option). I have cars with built in maps, and the Waze app that displays on the car dash monitor, and I still find myself using the NUVI in addition to the other maps. I have 2 of the Garmin NUVI model 50 series, and 3 of the NUVI 1350 series, and one of the very old model NUVI 760 units. All still working. The 760 model is so old the lithium battery would not charge, but you can buy a new one on Amazon (a little hard to change though). But Garmin is my recommendation 110%. Sam's Club usually has the Garmin 50 series models for around $75-80. That is really all you need IMO. Same here, really like the lane assist feature. I have the TomTom 720 which is rather dated but with updated maps works great. I also hacked it so it would play movies during those long empty nights driving down the highway. *I have a handful of movies I know word for word by heart, Tremors, any A&C movie, Bogie, Armageddon to name a few. I listening to these as I would the radio to stay alert. CBS Radio Mystery Theater comes in handy too. Whatever you get be sure it comes with "Lifetime Maps". Road construction is a fact of life and you'll want to update the roads once or twice a year.